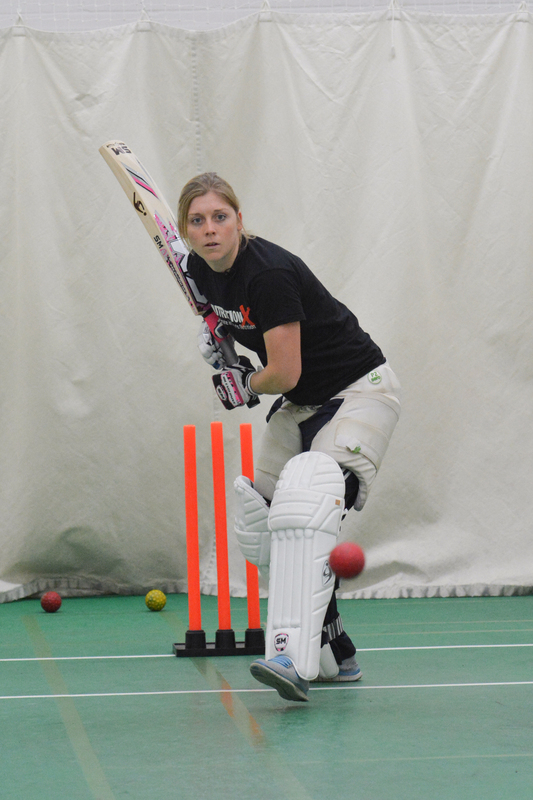 CRICKETher can confirm that Holly Colvin looks set to make her return to competitive cricket this weekend. The former England star, who has over 150 international wickets, took an extended break from the game last year; but has been named in the Sussex squad to face Surrey on Sunday and Kent on Monday. England’s Sarah Taylor is expected to captain Sussex in both games; but Georgia Elwiss, who isn’t due home from England’s training camp in Sri Lanka until Saturday, will be available for only the Kent game. OPINION – ECB Right On Team Proliferation? A Tweet from the Breezair SA Sorpions reminds us that although we will have a T20 Women’s Big Bash next season in Australia, contested between city-based-franchises, One Day cricket will still it seems be contested by the old state teams. This is, in a word, crazy! We already have a situation in The Other Game, where the top players play for umpteen different sides over the course of a season; but just because it happens in men’s cricket, that doesn’t make it necessarily a good idea. It is confusing and alienating for fans, especially the casual ones our game really needs to reach out to, when their favourite stars are playing together in the same uniforms one day, and against each other in opposing colours the next. Word is that the ECB’s plan for franchises in England will cover both One Day and T20 cricket; and if so, this is definitely the right decision – it is clearer for the fans, easier for the media (who, lest we forget, are also coming new to the concept of women’s domestic cricket), and also preferable for the players, who tend to perform better as a team when they really know their team-mates. But what do you think? Have your say below! Kent have announced the signing of Kara Sutherland as their “Overseas” for the 2015 season. The Australian left-armer bowls fast-medium and wields a big bat; but as part of a star-studded New South Wales Breakers team, she has had little opportunity to shine recently in the WNCL – batting down the order and bowling third or fourth change. In the Breakers recent WNCL Final victory, she didn’t bowl at all; and was listed to come in to bat at 11. Sutherland does though offer one significant advantage over the likes of Berkshire’s big overseas signing Alex Blackwell and Sussex’s Erin Osborne, in that she will be available for the whole season. With Kent’s England stars likely to be absent for several matches during the Women’s Ashes, this could be vital as Kent seek to claim a record seventh county crown. Kent kick off their season against Yorkshire and Sussex at Beckenham this Bank Holiday weekend. Entry is £5, but free for Kent Members, Canterbury Christ Church University students and under-16s. England captain Charlotte Edwards has strongly hinted on twitter that she intends to retire in the wake of the 2017 World Cup. It is unlikely that with her current commitments as captain – England Women were awarded professional contracts in February last year – Edwards would be able to consider taking part in the London Marathon until after she retires from international cricket. Edwards, who is now aged 35, has previously stated that her aim is to keep playing for England until the 2017 World Cup, which is due to take place in England. This, though, is the strongest evidence yet that she intends to retire in the wake of the tournament. It would certainly be a fitting way to end a career which began in 1996, when Edwards was just 16 and women’s international cricket was still being played in skirts. She has been a prolific run-scorer ever since, and remains a mainstay of England’s batting, having amassed (to date) 1645 runs in Tests, 5812 in ODIs and 2299 in T20s. She took over the captaincy from Connor in 2006, and recently led England out for the 200th time, making her the most long-standing captain in the history of English cricket. Former World Cup winner Haidee Tiffen has been appointed head coach and chief selector of New Zealand. A batting all-rounder, Tiffen played over 100 ODIs between 1999 and her retirement in 2009, when she led New Zealand to the final of the World Cup in Australia, where they were eventual runners-up to England. Averaging a touch over 30 in ODIs, Tiffen also has a Test batting average of more than 100… considerably helped by having finished Not Out in 3 of her 4 Test innings! More recently she has pursued a career in teaching. With so many international women’s teams now going down the route of busing-in coaches from The Other Game, such as Australia’s recent appointment of Matthew Mott, it is positive that at least one of the big sides will have a female coach. But with New Zealand firmly entrenched in the bottom half of the Women’s International Championship table, Tiffen has a job on her hands, with the White Ferns next round of matches coming up soon in India. As the summer months head into view, the BBC’s cricket correspondents are once-again oiling-up the wheels of their outside broadcast vans, ready to cover “every ball” of the county season. Or rather… every ball of the men’s county season! But women’s county cricket matters – the England team don’t just emerge from hibernation in Loughborough each August, play a handful of ODIs and T20s (and the odd Test) before disappearing again. County cricket is the foundation without which the international game wouldn’t exist. It is where form is found; where skills are nurtured; and where reputations are forged. CRICKETher can’t promise to cover “every ball” of the women’s county season; but we’ll be bringing you all we can. Together with our friends and colleagues at womens-cricket.blogspot.co.uk and womenscricket.net we aim to get you the inside scoop on what’s happening in women’s domestic cricket – who is making runs; who is taking wickets; who is in form, and who isn’t – we won’t be pulling punches here! And hopefully together, we’ll make the “forgotten game” a bit less forgotten! CRICKETher was excited to be present at Finchley Cricket Club last Friday, April 17, for the official launch of the UK’s first ever range of women’s cricket gear – Cricket Deal Direct’s Heather Knight Cricket Collection. 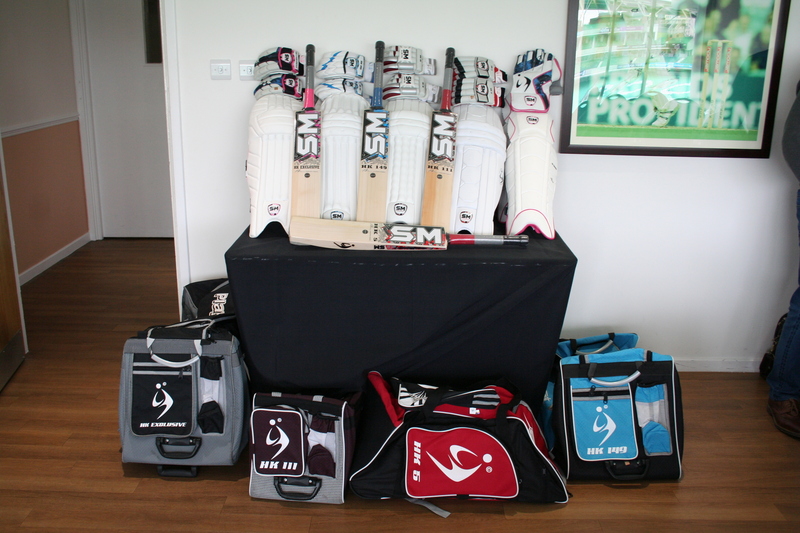 The exciting new range features bats, batting pads, gloves, wicket-keeping pads and gloves, as well as kit bags. These high-quality products have all been designed and manufactured specifically for girls and women by SM. 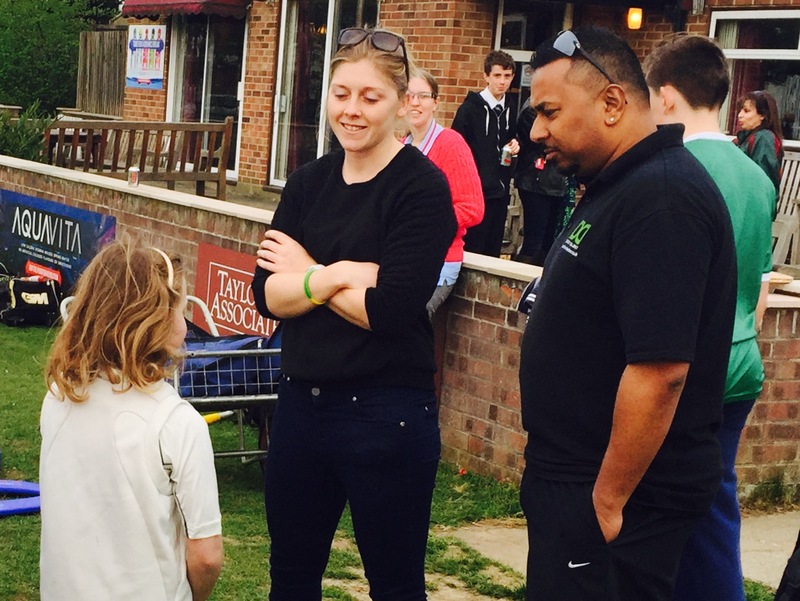 There was certainly a buzz of excitement at Finchley on Friday, as Heather signed bats from her new range, then conducted a Q&A session with a group of eager young girls, who might yet be the England stars of the future. “The bats are great. They’re not too different to your standard ranges, but a little bit on the lighter side, and the pads and gloves are slightly smaller. Another great thing about the HK Collection is the price. Cricket Deal Direct source their equipment directly from the manufacturer, which means they are able to offer customers extremely competitive prices; the HK Collection is no different. Bats, for example, start from £125 for the HK5 range; the top-of-the-range model which Heather herself uses, the HK Exclusive, costs £245. And it’s pretty clear that Cricket Deal Direct know what they’re talking about when it comes to women’s cricket. They’ve proved themselves keen supporters of the women’s game since the company was established in 2012, providing sponsorship for several county players, including Middlesex’s Sophia Dunkley and Cath Dalton, who both used their SM bats to great effect last season. 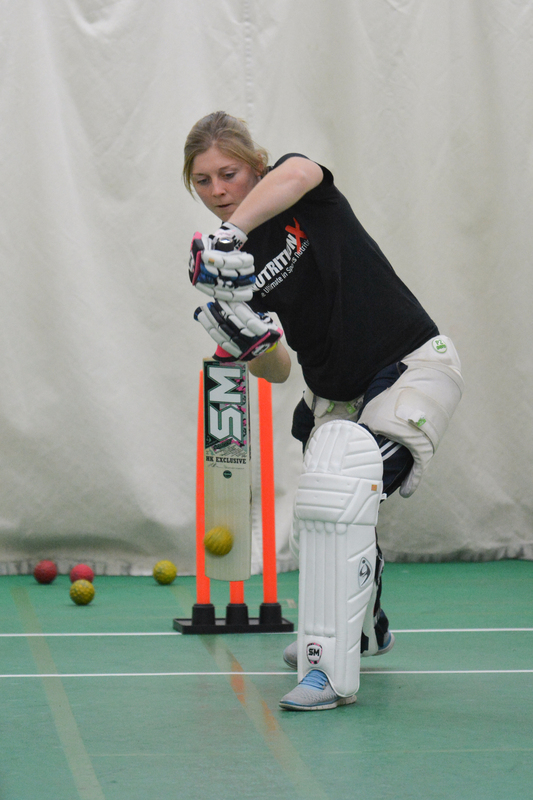 This season they will be supplying the shirts, balls and stumps for the new Middlesex Women’s Cricket League, which is being hosted at Finchley CC on Friday evenings throughout the season, and is especially aimed at women who are new to cricket. They are also helping to launch a new women’s league based in Northants. And, as Managing Director Ian Anderson explains, they are committed to expanding the Heather Knight Collection over the coming months. In particular, working closely with Heather herself, they hope to develop a range of cricket clothing specifically for women to complement the current products. CRICKETher will be following developments with interest, and will of course keep you informed when the new range hits the marketplace – hopefully by the start of the 2016 season. 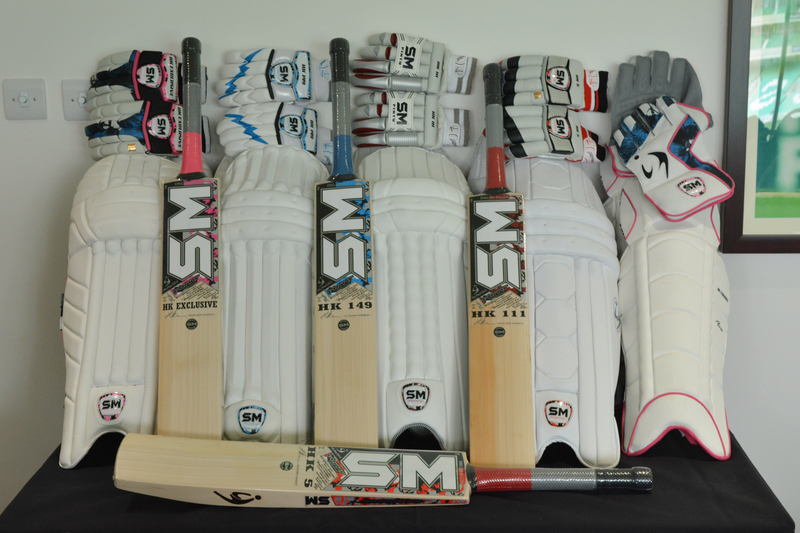 For now, the Heather Knight Cricket Collection will be available to order online from early May, from www.cricketdealdirect.co.uk.